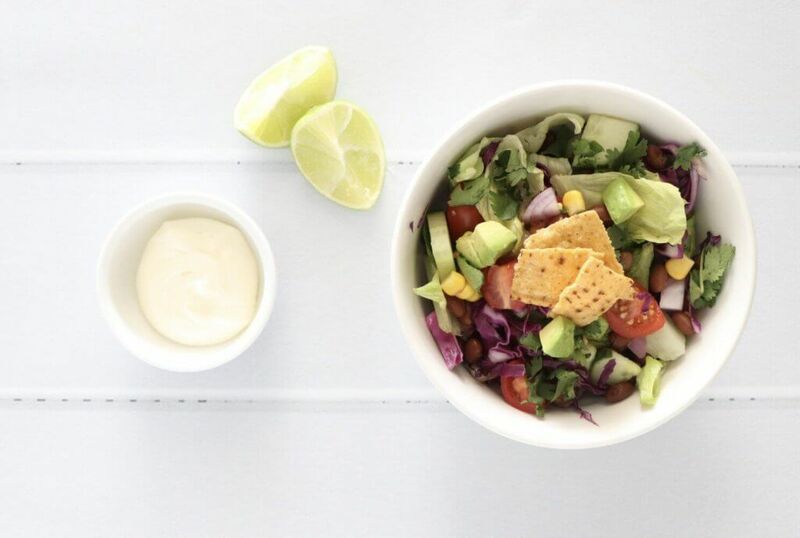 I love a good salad as a side to just about any meal during the summer, so I thought I would put together 5 of my favourite salad recipes and share them with you. I went with salads that are super easy to pull off by using a salad packet base from Woolworths and a few extra ingredients to jazz them up. Now, feel free to add any extra ingredients to these salads recipes or exclude any ingredients you don’t like. Not only does this salad look amazing, but you can also serve it on it’s own as a meal. Feel free to mix this recipe up and serve with all your favourite ingredients laid out on a tray. Boil eggs and fry off bacon in a frypan. Lay out all the ingredients on a serving tray with some dressing on the side. It takes almost no time at all to put this tasty salad together! This salad is perfect to take along to family gatherings or as a side to your BBQ. Cook the garlic prawns if they are raw. I get mine raw and pre-marinated from the Woolworths deli. I saute them over medium heat in a frypan until cooked through. 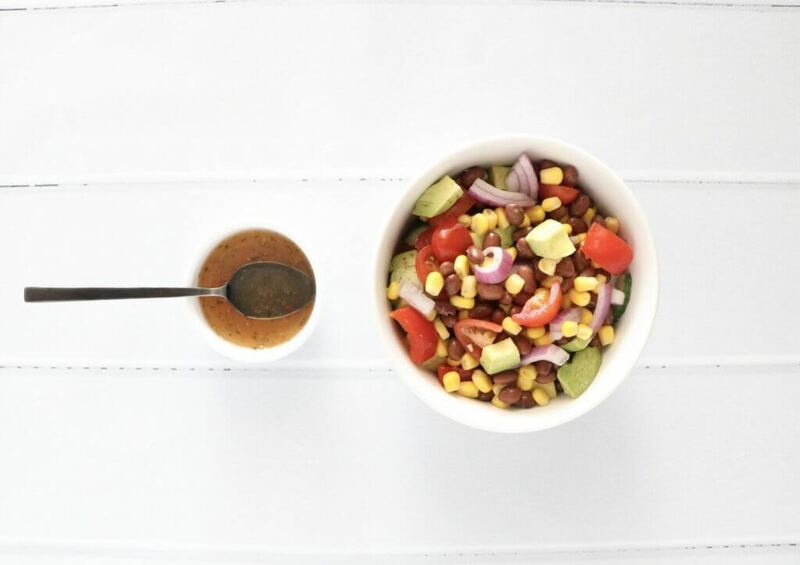 Mix all the ingredients together and serve with the mango chilli dressing and toasted coconut that comes with the salad kit. This salad is a family favourite and regularly on the menu at my place. You can substitute the sour cream to make it vegan friendly. 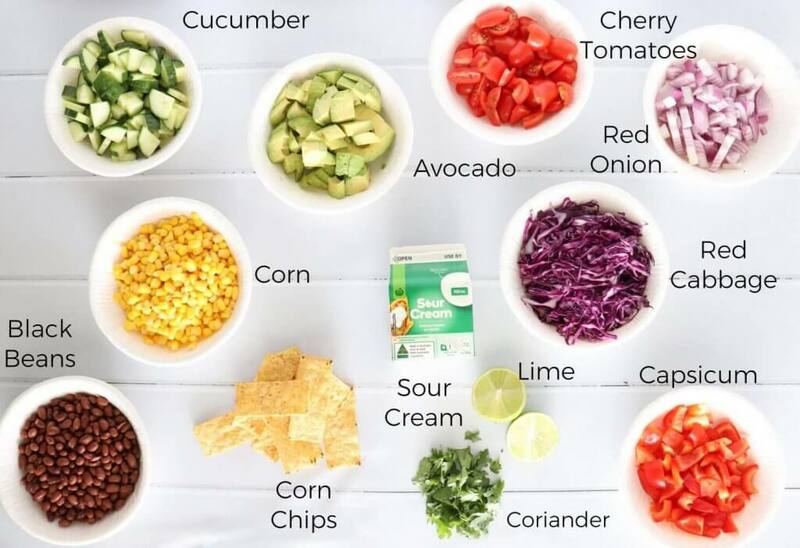 Mix all the ingredients together and top with a squeeze of lime and corn chips. 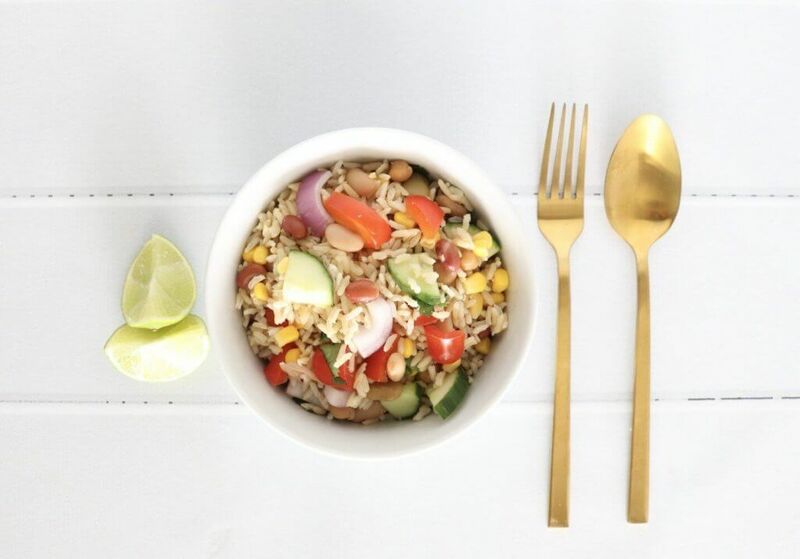 You can add just about anything to this brown rice salad which is a great way to use up leftovers. Cook the rice as per the instructions on the packet and allow to cool. 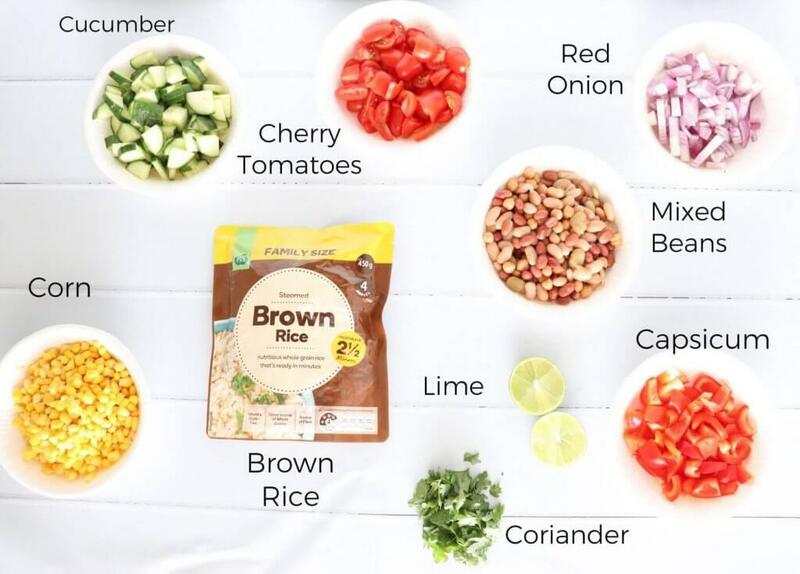 Mix all of the ingredients together and serve cold with a squeeze of lime on the top. This recipe is another vegan friendly recipe that takes under 2 minutes to put together. I like to make this salad on taco night to serve on the tacos with beef mince. Mix all of the ingredients together and top with Italian dressing. 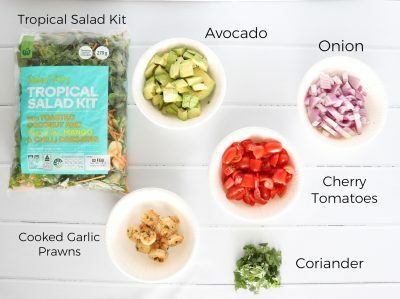 What is your “go-to” easy summer salad to make?